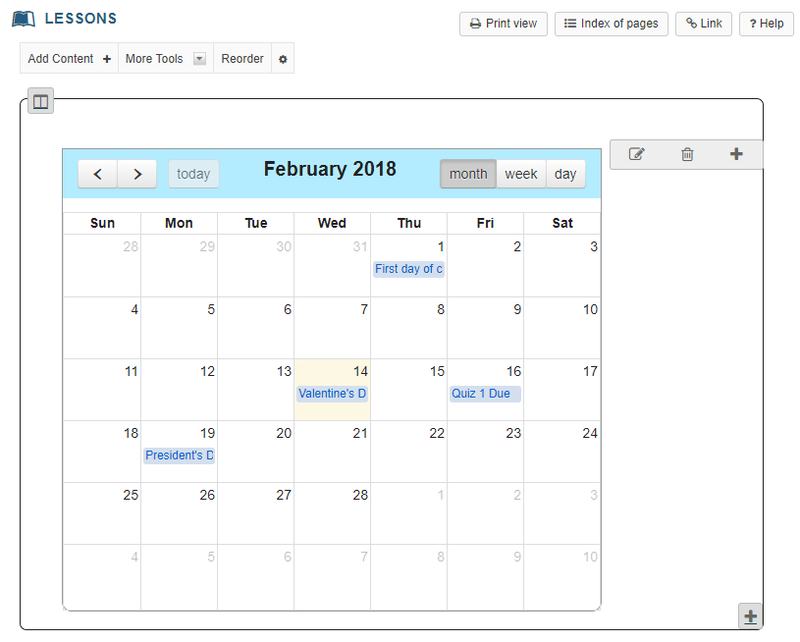 Sakai Community DocumentationSakai 19 User Guide (English) LessonsHow do I embed the Calendar on a Lessons page? Instructors can embed the course calendar on a Lessons page. This can be useful if you are using Lessons as your course landing page, or if you wish to call attention to course deadlines within your content pages. Click Add Content, then Embed Calendar. Zoom: Click Add Content, then Embed Calendar. 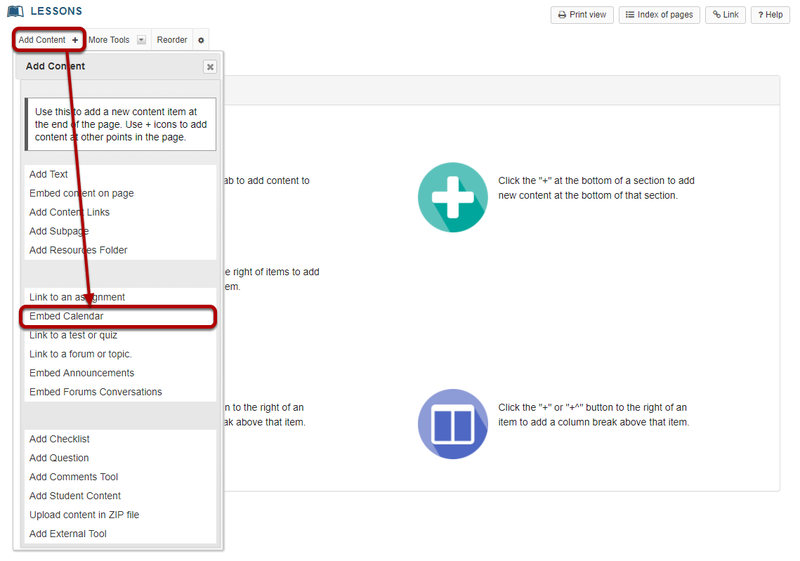 From the Add Content drop-down menu, select Embed Calendar. The course calendar will display on the page. Prev: How do I add a resources folder on a Lessons page? Next: How do I embed announcements on a Lessons page?